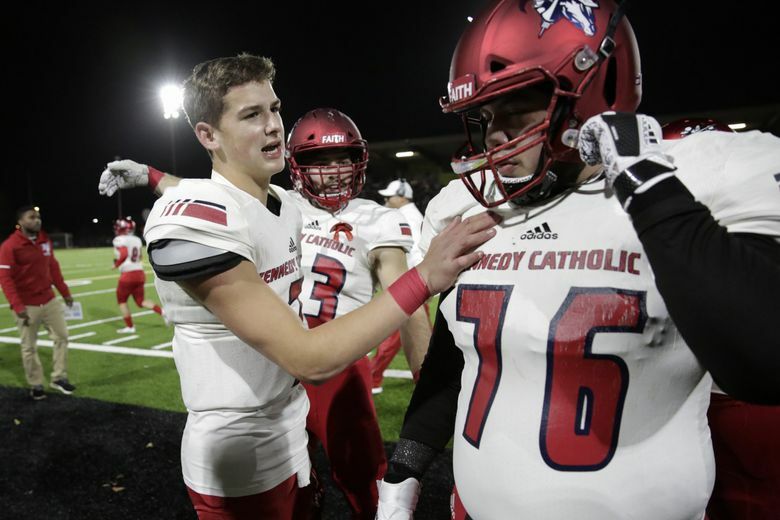 Sam Huard has thrown for 7,597 yards and 76 touchdowns combined in his freshmen and sophomore seasons, and 247Sports.com ranks him as the No. 1 pro-style QB in the Class of 2021. Sam Huard’s family roots run deep in Husky history. His maternal grandfather, Vince Lorrain, was a defensive back and punt returner for Jim Owens’ Washington teams in the mid-1960s. More famously, his father, Damon, and uncle, Brock, were UW’s quarterbacks in the 1990s. Damon was the Huskies’ career leading passer until Brock broke that record a few years later. 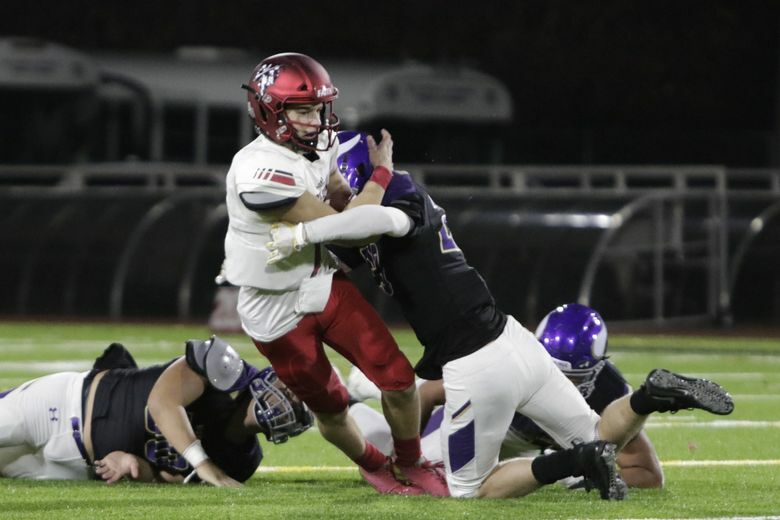 So, naturally, Sam Huard was “fired up,” his father said, to receive a formal scholarship offer from Chris Petersen during a visit to the coach’s office at Husky Stadium on Sunday. 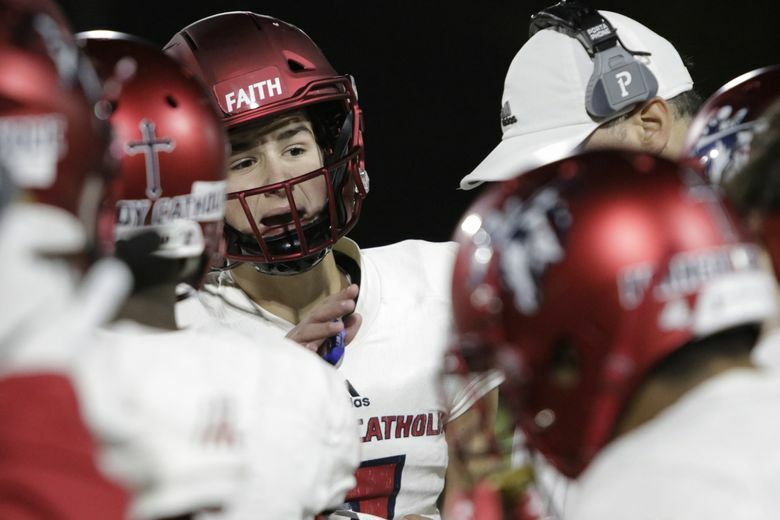 A 6-foot-2, 175-pound sophomore at Kennedy Catholic, Sam Huard is regarded as one of the top high school quarterback recruits in the country. Last year, he was named the MaxPreps National Freshman of the Year. Left-handed like his uncle Brock, Sam has thrown for 7,597 yards and 76 touchdowns combined in his freshmen and sophomore seasons, and 247Sports.com ranks him as the No. 1 pro-style quarterback in the Class of 2021. 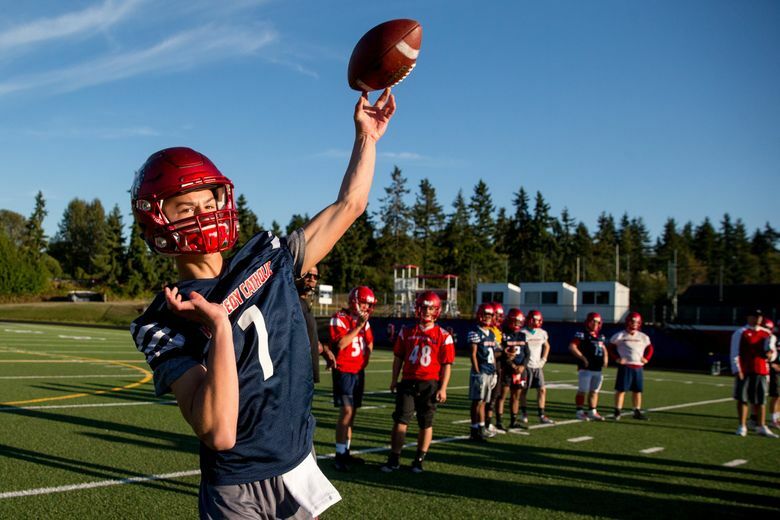 “When you watch Huard play, you see his poise in the pocket, the ease in which he goes through his reads, the good arm strength without trying to force throws or show off the arm but the ability to take what the defense gives him,” said Brandon Huffman, national recruiting editor for 247Sports. “He’s got very good feet, can move if he needs to, doesn’t get too high or too low and enjoys the big moments — he’s had a number of game-winning drives the past two seasons — with a young team around him. 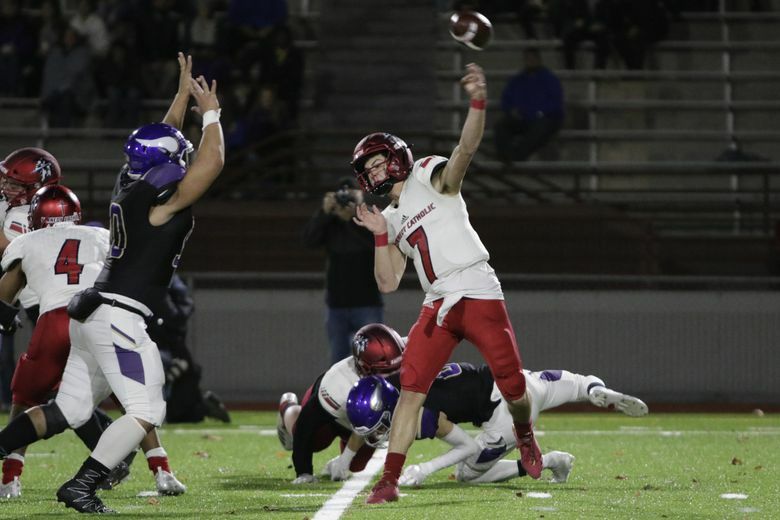 Sam Huard is the latest local quarterback recruit to receive an early offer from the Huskies. Bothell’s Jacob Sirmon (Class of 2018) committed to UW after his sophomore season, and Graham-Kapowsin’s Dylan Morris (Class of 2019) committed before his junior season. Petersen, who by NCAA rule is not allowed to speak directly about recruits, is known to be thorough in his evaluation of recruits and deliberate with the number of scholarship offers he’s willing extend. Nevada was the first to offer Sam Huard a scholarship, shortly after his freshman season. Washington State soon followed. The other programs to offer: California, Florida, Tennessee, Texas Tech and Boise State.